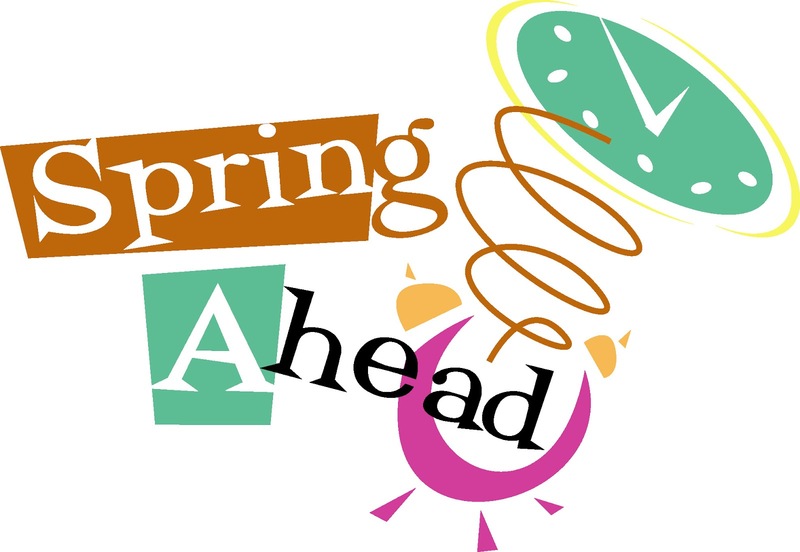 It's hard to believe that today is the last day of March! Spring has Sprung! 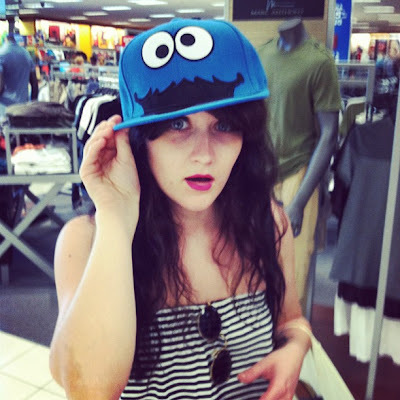 It's my 3rd month as a new blogger. Thank you for taking the ride with me! I jumped for joy when Aimee from It's Overflowing awarded me my very first feature on Kicking the 80's Out of the Guest Bathroom. I'll never forget her comment..."Your first...with many more to come, for sure!!!" Lucky for me Aimee was right! I'm so honored to have been featured NINE times this month! I attended The Jacksonville Orchid Society Show and added some new babies to my nest. Discovered another way to watch my favorite shows after Cutting the Cable Cord. My iPad streams to my HD TV...have I told you lately how much I love my iPad? 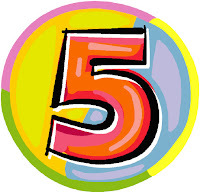 Favorite Friday Five was born! A new Friday tradition of my faves from the week. After a few days of struggle, LifeAfterEmptyNest.com went LIVE! I'm thrilled to have my own domain! This monthly reflection has put a huge smile on my face! 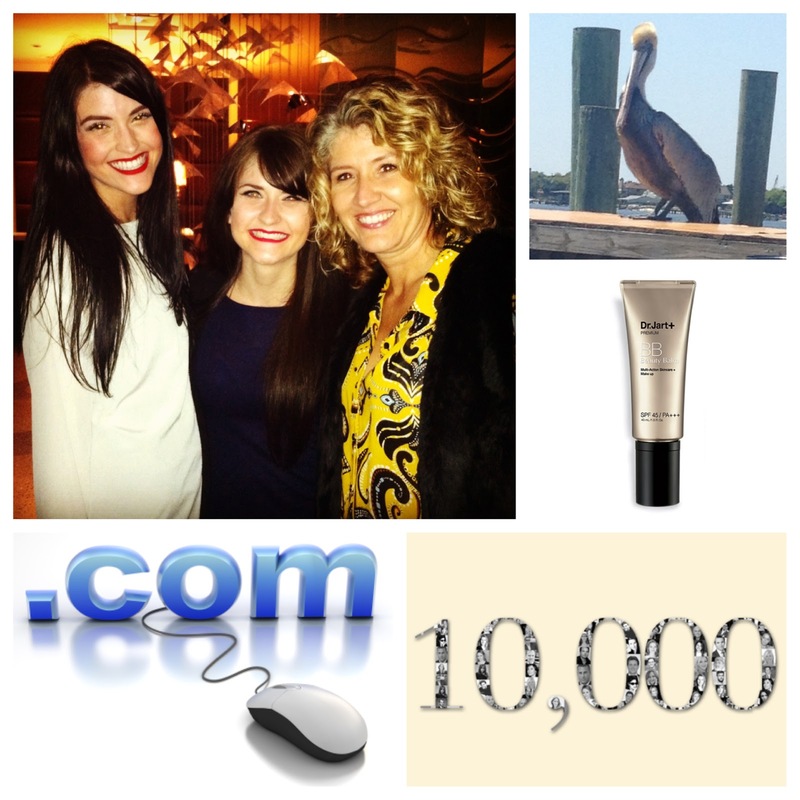 Great things have happened in my blogging life this month. None of it would be possible without READERS like YOU! Thank you for being a part of my life and filling my nest! If you like what you're reading please provide your email so you don't miss a SINGLE post! Week #2 of my New Tradition! In case you missed it last week, Each Friday I will share my Favorite Five things from the past week. 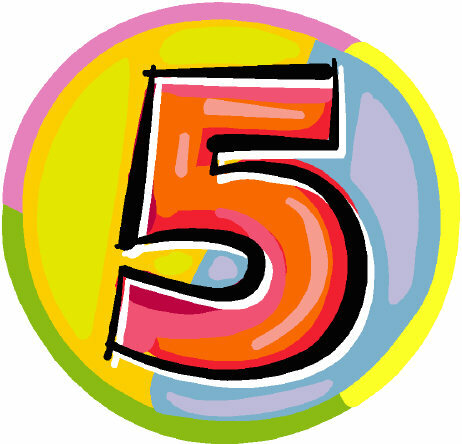 They may be products I've tried, some way I've saved $$, an activity I did...in a nutshell ~ the top 5 things that brought a SMILE to my FACE! Brianne and Shelby came home last weekend for some R & R! 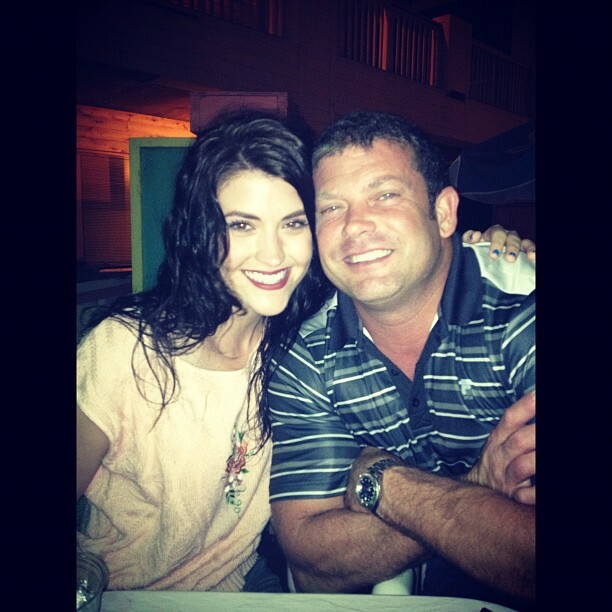 (and Mommy and Daddy LOVE) The weekend went so FAST but I cherish our precious "family time" whenever I can get it! We shopped, ate, talked and hung out...those little things make me so happy! I bought my domain as suggested by my friend TJ. However, I had no idea this project would consume 4 days of my Spring Break! The experience was totally worth it, learned a ton and was left with a sense of accomplishment! Making the switch from Blogger to your own domain isn't as easy as they promise but if I can do it ANYONE can! Love getting rid of the ~blogspot~ part! coverage minimizes the appearance of imperfections and evens the skintone. Antioxidant bio-peptides and adenosine protect skin from harsh environmental factors while restoring firmness and elasticity. 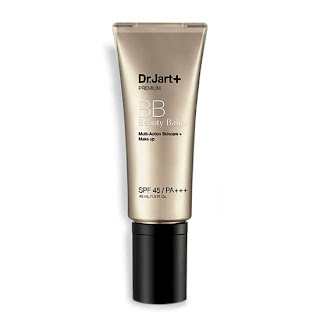 This lightweight formula features mineral sunscreens to provide broad spectrum sun protection from both UVA and UVB rays. Skin is left looking smooth, perfect, and natural." My skin looks flawless...and it is not! : ) Best $39 I've spent in a long time! Brianne and Shelby use it too...So at Any Age it's a MUST! 10,000 Views...Pinch Me, I MUST be Dreaming! 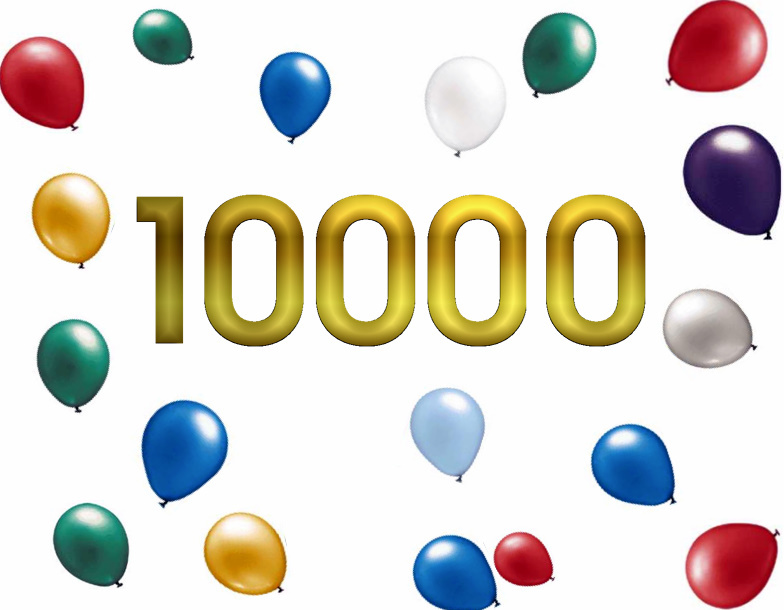 This morning I woke up to over 10,100 views! I know this is a SMALL number to most bloggers who might get that many in a day...However it means the WORLD to ME! I started this baby three months ago, convinced by my darling daughters, so thrilled that I listened!! Enjoying these 10 days off from my life as an Elementary School Reading Teacher. Taking time to enjoy life with family and friends! After all, THAT is what Life is About! Creating memories with tons of laughter! I have some good stories to share...if you need a laugh read this one! Any moments you want to share? Leave me a comment and tell me something fabulous that happened this week, or embarrassing, or touching... I'd LOVE to hear! 12 Should I Play The Lottery? Today I met my dear friend Julie, her Mama and husband for a seafood lunch. It turned out to be a gorgeous North Florida day, high of 66 degrees, bright and sunny... so we decided to sit outside to gaze at the boat traffic as we ate. With the breeze it was a little chilly so we lowered the umbrella for a taste of sunshine. The waitress delivered our food, my steaming shrimp basket, fries and hush puppy was not the healthiest choice... but it was YUMMY! No...please tell me a seagull has not just pooped in my shrimp basket! Turns out it had "done its business" on the table and just splashed on my food, in my hair and on my clothes. I declined because some how I had lost my appetite. Well I just asked "Google" and apparently it is Good Luck to have a bird poo on you! It has to do with the odds of random chance. I read that the chances of being pooped on by a bird are 1 in a billion which is almost the same as winning the lottery. 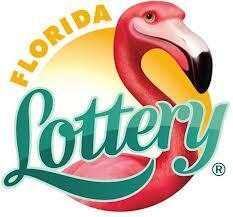 So statistically if you are able to get bird poop on you, then you should also be able to win the lottery. Not sure what to think? What about you? The one thing that was LUCKY is I saved a BUNCH of calories today!! So tell me...Have you been lucky?? It's crazy...the little things that bring a HUGE smile to your face! The accomplished feeling of...I DID IT!!! As a teacher, I thrive on new learning, it is part of my soul! Well I'm getting a HUGE dose of it BABY! My computer knowledge guru is our dear friend TJ. This guy KNOWS his stuff! SMARTY PANTS! 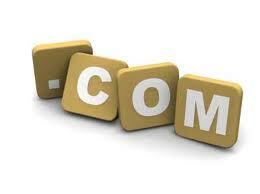 While we were chatting about my blog the other day, he told me that I should buy the domain name if it was available. 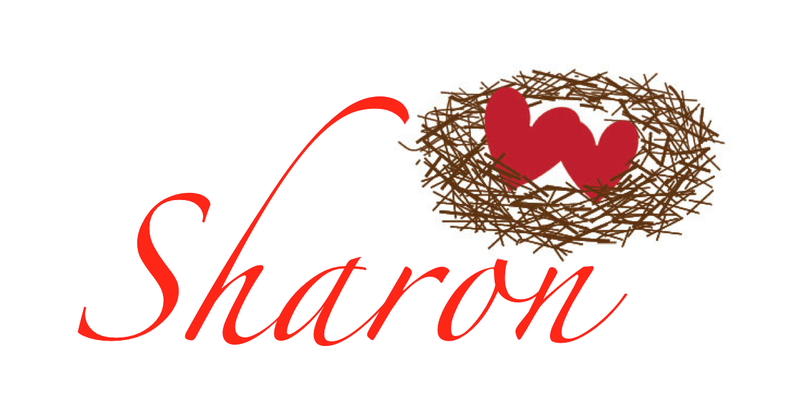 Well, when TJ talks (about anything web related) Sharon listens! After TJ left I hopped online and purchased my domain name through blogger. A few minutes later I recieved the confirmation e-mail! Success right?? The directions in Google said it was simple and easy....the site would redirect on its own. NOT TRUE! So for the past 4 days I have worked on this EASY TASK!! It is ALL I have been thinking about. How can I fix this? What am I missing? 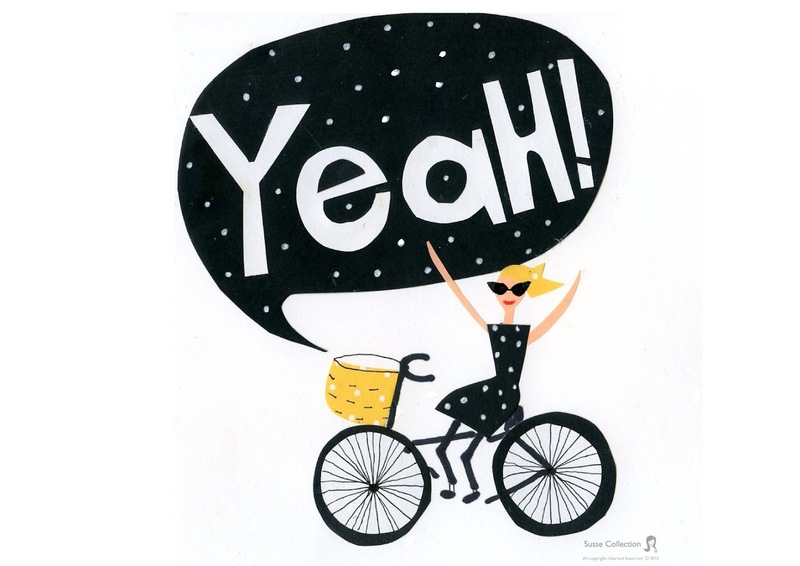 Thanks to one FANTASTIC blogger out there who gives the best directions, The Real Blogger Status, I am LIVE and running! Today is my first official day of Spring Break...so what am I doing?? Some organizing and purging around the house of course! Starting with all these expired coupons! If you started the couponing journey with me...your coupon file is getting full. The GREAT thing about the Hanging File Folder Coupon System is it is EASY to CLEAN OUT! Read all about how to start the saving journey here! 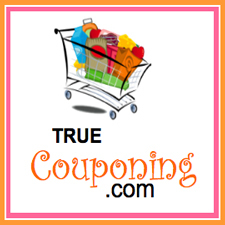 My favorite site to use for cleaning out coupons is True Couponing. These wonderful ladies do ALL the work for you! I subscribe to their emails and they let me know when it is time to purdge! 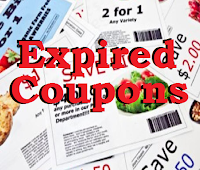 What Can I Do With the Expired Coupons? Before chucking this pile into your recycling bin, consider using them to help overseas military families. US military families who are stationed overseas can use coupons up to 6 months past their expiration date. 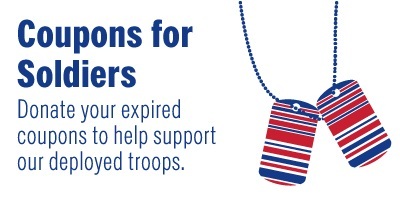 There are several organizations like Coupons To Troops (www.couponstotroops.com) or Troopons (www.supportourtroops.org) that will help you get started supporting these families by sending them your expired coupons. 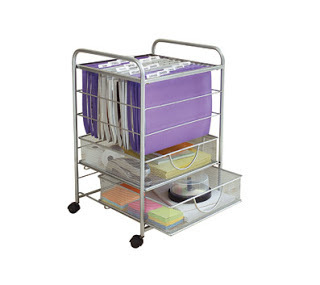 Keep Clean and Organized to Maximize Savings! Keep those coupons organized by doing this regularly! Subscribe to TrueCouponing, or follow me on Facebook and I will let you know when it's time to clean out again! Just push the "like" button! Hope that you have been saving tons of $$$ so far this year! Let me know how you are doing! Nothing better, after a long day of work, coming home and smelling dinner cooking inside. No one is home but the crock pot has been busy. 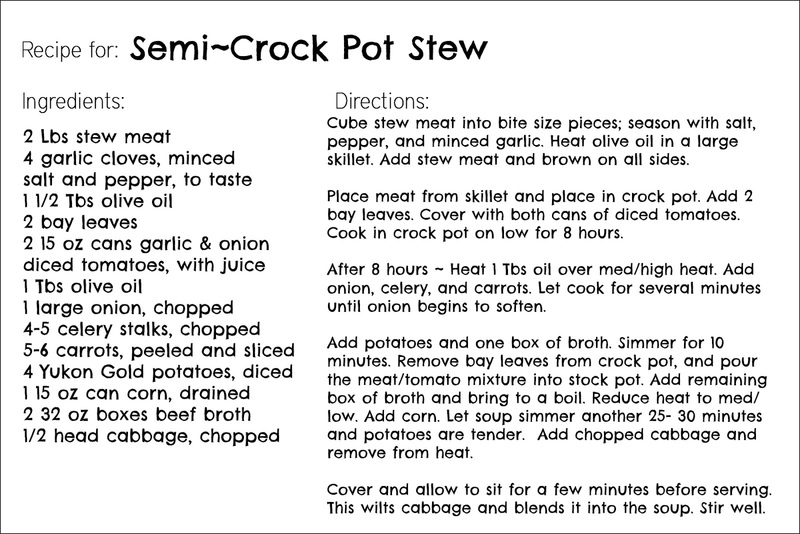 I love a great crock pot recipe so when my friend Kim raved about a recipe she found on Pinterest I was eager to give it a try! When meat and veggies cook at the same time and temp they tend to get mushy...the potatoes taste like the carrots...the carrots taste like onions....no individual flavors..just "a" flavor. I LOVE the idea that the meat cooks by itself all day creating an amazing flavor! After you get home from a hectic day....throw a few more things together....Dinner is Served! We decided to change up the original recipe (since my Hubby never follows any directions to a "T") plus we wanted to have as much prepared ahead of time as possible. The recipe called for 2 pounds of stew meat but we used some ribeye steaks from the freezer and Todd cut them into large chunks. Season the meat with salt, pepper and some chopped garlic. Allow to cool and then place meat and all juices from pan into the refrigerator overnight. Cut up 4-5 celery stalks and 5-6 carrots and place in zip-lock bag. Place cubed meat into crock pot with two bay leaves. Set crock pot on low and set for 8 hours. Chop 1 large onion and add to stock pot. Cook over medium high heat for several minutes until onion starts to soften. Add another box (32 oz) of beef broth. Add can (15 oz) corn. Allow soup to simmer 25-30 minutes, until potatoes are tender. Add chopped cabbage and remove from heat. Cover and allow cabbage to wilt for 10 minutes. Great meal for a cool night! We were able to freeze two containers for future meals! I LOVE when that happens!! Enjoy with your favorite beverage! 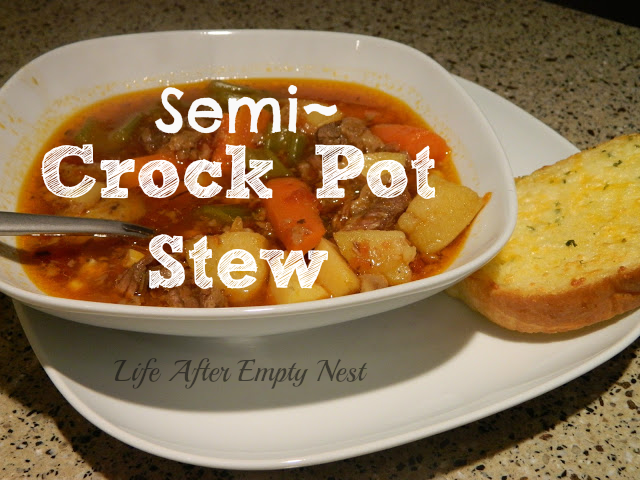 I hope you enjoy this stew as much as we did! 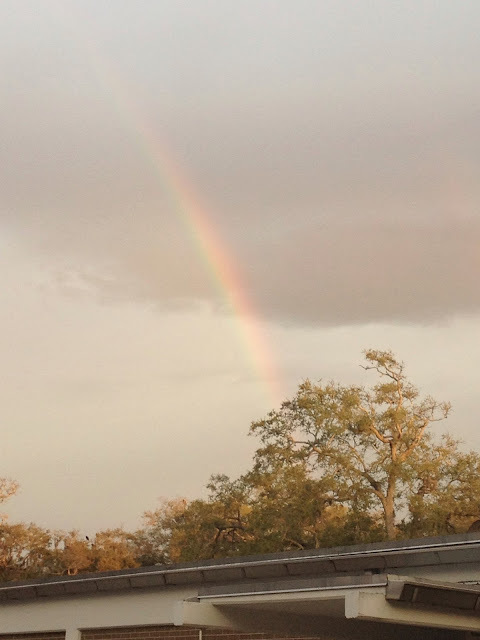 I've decided to start a "tradition" on my brand new blog.... each Friday I will share my Favorite Five things from the past week. They may be products I've tried, some way I've saved $$, an activity I did...in a nutshell ~ the top 5 things that brought a SMILE to my FACE! Earlier in the week I downloaded this coupon. 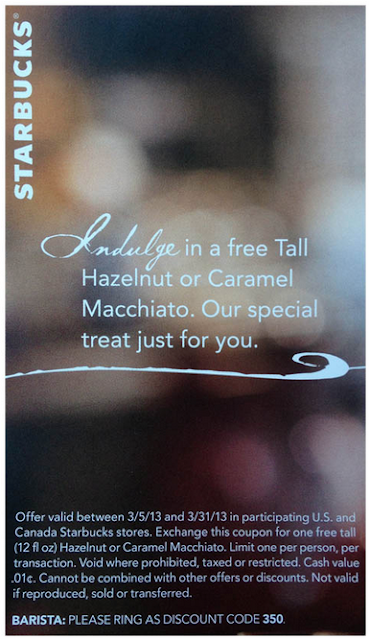 When I used it, the kind barista said, "Keep the Coupon because you can reuse it!" That means FREE coffee until March 31st! Even though I had a harder time adjusting this year, I absolutely LOVE having several hours of daylight after I arrive home from work each day! I feel like I have more "me" time and I likey! I was able to add some new orchids to my collection and some of my babies have new buds! Todd is being a great sport as I drag him look at the miniscule growth on a daily basis! Now that spring is here, I can get outside and get my hands dirty...let's see what else I can grow! Rubbermaid's Bento Box ~ Great Organization Tool! I discovered an awesome storage tool that I plan on using with my upcoming desk organization project! These boxes have bendable sides that you can adjust depending on your needs! More to come when I showcase my Office Clean Up! Lesson of the Week ~ Always Look at the World Through a Child's Eyes! "Do you know what this means?" he asked, "Today everyone in the whole school is going to have a great day!" I snapped a pic with my phone to share with my students and you know what? It was a GREAT DAY! What were your Favs this week? Leave me a comment and share! 2 Feature on "Better After"
Certain things can make me smile ear to ear...that's what happened today when I got home from work...looked at one of my favorite blogs...and saw I WAS FEATURED! 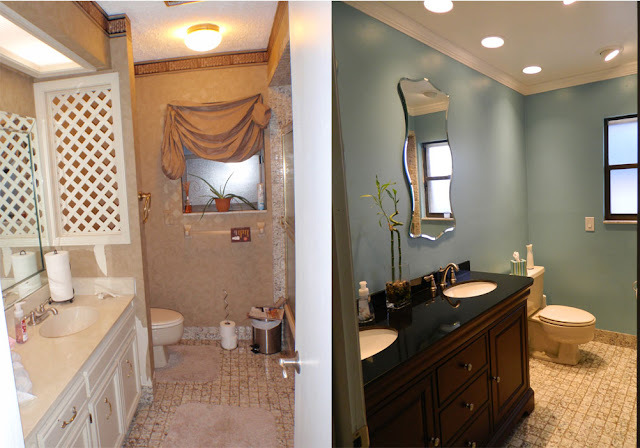 The LOVE of Before and After! Who doesn't LOVE looking at Before and After house projects? 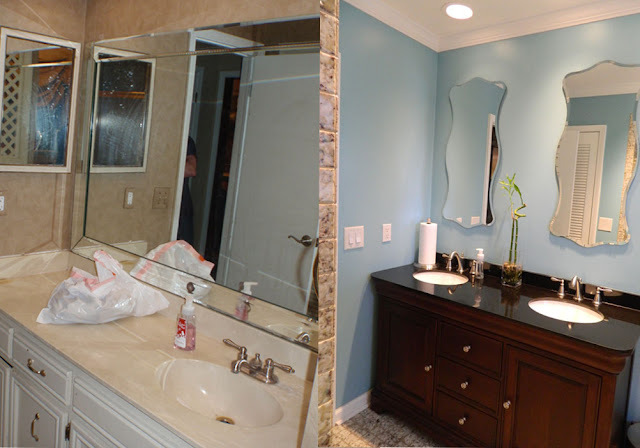 Imagine a blog that totally focuses on the BEST Before and After Projects....Introducing Better After! I LOVE reading Lindsey's comments about each project! I REALLY APPRECIATE that she decided to feature our guest bath remodel today! Remember when we Kicked the 80's Out of the Guest Bath? Boy it's hard to look back at those "Before" pictures! More "Before and Afters" Coming Soon! Can't wait to share our next before and after.....we have A LOT of 80's to Kick to the CURB!! I attended one of my favorite events last weekend. The Jacksonville Orchid Society Show. I am not an orchid expert, that is why I attend events like this and read many orchid blogs. 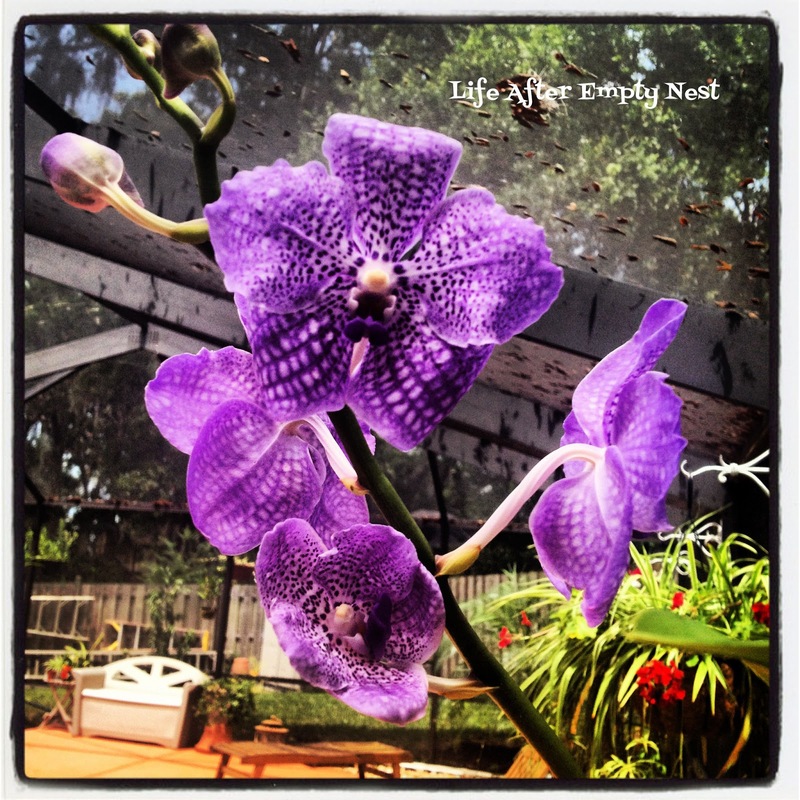 An Instagram Photo taken last summer I titled, "Backyard Beauty"
I fell in love with Orchids many years ago...I would buy them at Home Depot or Lowes, bring them home, enjoy their beauty and then KILL THEM! I couldn't understand why??? 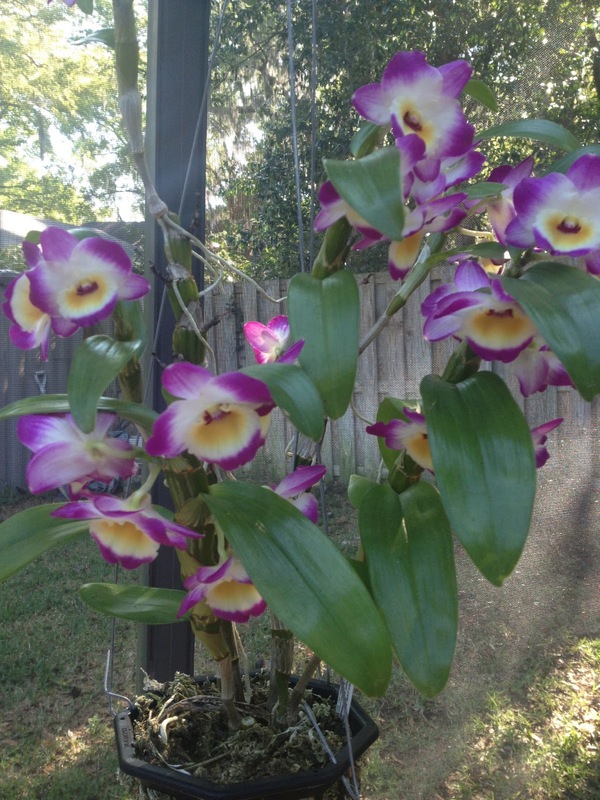 My Mother-in-law Darlene could grow amazing orchids but I had no luck. She told me how easy they were, but...NOT for ME! 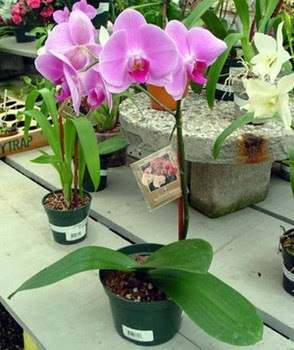 Truth is, Orchids are EXTREMELY easy to GROW once you find WHERE they like to grow! Each orchid type likes a certain living condition so I have spent years moving these babies around. 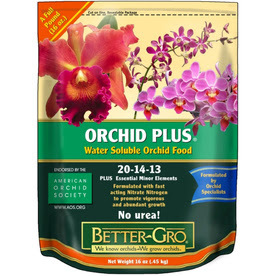 Most orchids only bloom once a year so it can take a while to determine where they thrive! 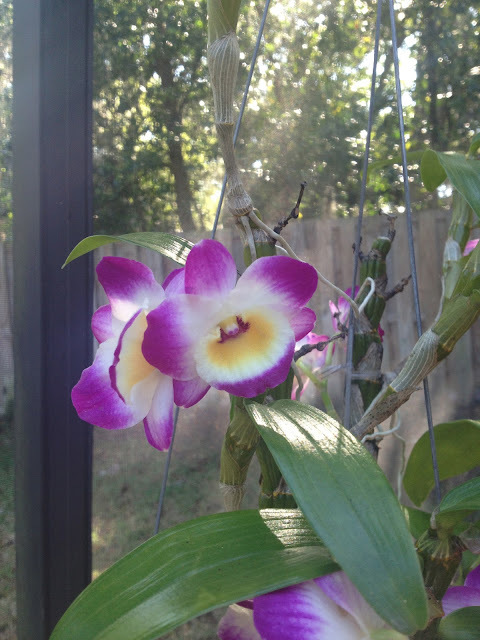 In my neck of the woods, my screen enclosure, pool side, is an Orchid Oasis! Your results will differ from mine depending where you live in this great big WORLD. I live in Northeast Florda. The screen provides enough UV protection so the orchids don't burn during the harsh summer months. The pool water creates constant humidity which orchids love! Placement within the screen enclosure has determined success as well. Trial and error as they say. This type of orchid enjoys the morning sun it receives at this location. It is then shaded, but in bright light, for the rest of the day. They are backed by our homes bricks, which provides heat trapped by the morning sun. This location is closest to the pool and their large leaves enjoy the humidity it provides. They bloom once or twice a year. 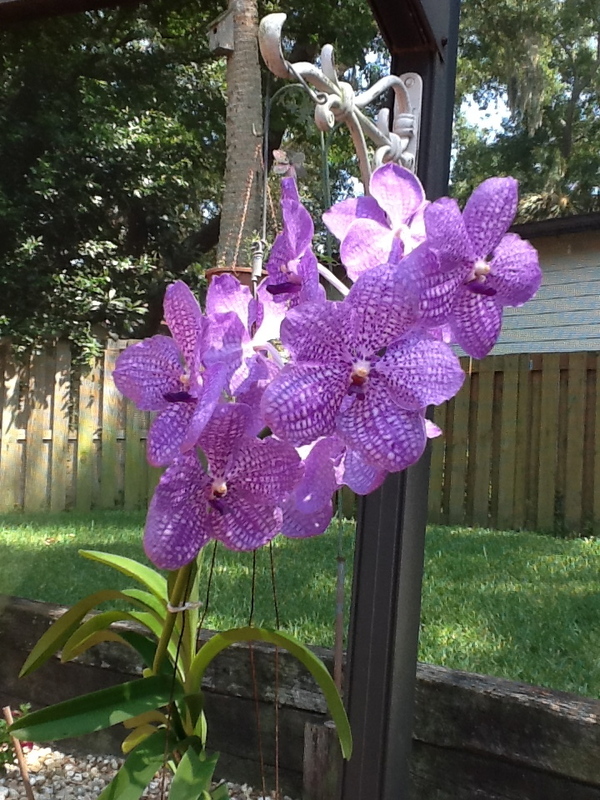 These orchids enjoy the filtered sun all day long. The towering Oak trees provide slight shade throughout the day. Since they are hanging their roots get the needed air circulation to thrive. The best thing about these babies is they bloom many times during the year! Orchids bought from Home Improvement stores are fine but they are NOT potted properly! When they are finished blooming... repot them ASAP! There are tons of videos on the Internet to show you how to do this! I use Better-Gro mixed in a spray bottle. I spray the roots and leaves - but NEVER the blooms. I read this causes the spots on leaves. "When it Doubt, Dry It Out"
That is such a great rule to live by with Orchids. One great tip my friend Melissa taught me is to water an indoor orchid with an ice cube. It gets a nice slow water as the ice cube melts. I don't have a place inside my home where orchids thrive, however when they bloom outside I often bring them inside for us to enjoy! The best part of an orchid is how long their blooms last! Often a month or so! AMAZING! Here are the two orchids I bought last weekend! Nature Never Ceases to Amaze Me! I'm thrilled to be surrounded by such beauty! Want to see what else I'm growing? Sign up below so you don't miss a thing!! I've LOVE to hear your thoughts! Should I Play The Lottery? My Top 5 Beauty Faves!